Pion Design never settles with anything but perfection, and when we heard that customers were looking to find solid basics to match our patterned papers we decided to design and print our own, using the unique Pion Design color palette. The result is the collection Pion Design Palette, a wide selection of subtle colored premium papers that make a beautiful foundation for every crafting project and go together with our patterned papers perfectly. The papers in this collection are of a heavier weight than our patterned papers and can be used for folding and altered projects or to add layers and dimensions to cards and layouts. 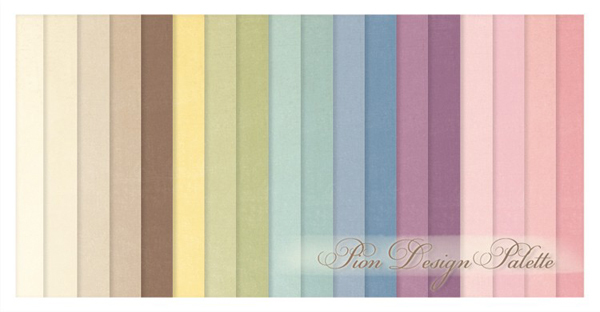 With Pion Design Palette you will find it easier to craft your own story!